Principal Cast : Kristoffer Joner, Ane Dahl Torp, Jonas Hoff Oftebro, Edith Haagenrud-Sande, Thomas Bo Larsen, Mette Horn, Fritjhov Saheim, Herman Berhoft, Arthur Berning, Silje Breivik, Laila Goody, Eili Harboe. 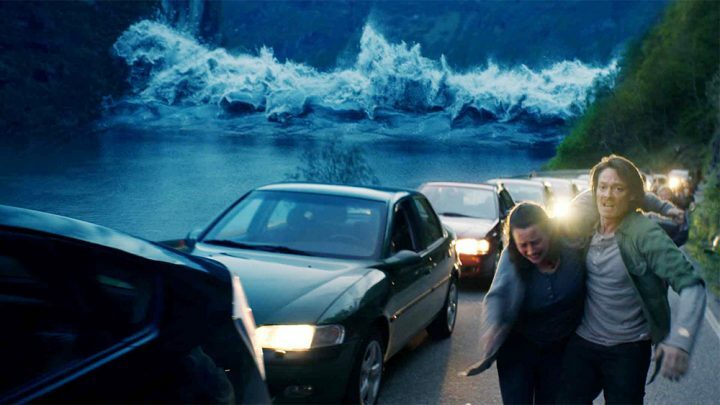 Synopsis: Although anticipated, no one is really ready when the mountain pass above the scenic, narrow Norwegian fjord Geiranger collapses and creates an 85-meter high violent tsunami. A geologist is one of those caught in the middle of it. 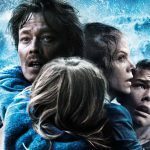 The Wave (aka Bølgen in its native Norway) is a 2015 disaster epic directed by Tomb Raider reboot helmer Roar Uthuag, a man who is also due to give us a semi-sequel to this film in The Quake later in 2018. With a disgustingly low budget, The Wave accomplishes that which continues to elude many a mega-millions Hollywood production of similar scope: it’s a film with decent characters, an engaging premise, and despite limited means, legitimately exciting (if minimally used) visual effects. Sure, it’s not a world-ending apocalypse favoured by the Michael Bays and Roland Emmerichs of the world, but Uthuag’s intimate flotilla of destruction unleashed by a massive tidal wave (er… spoiler I guess?) is a masterclass in genre film-making in that it achieves so much with so little. The Norwegian town of Geiranger, a popular tourist destination nestled on the edge of a glacial lake beneath enormous mountains, is under constant threat. High above the town is the Akerneset mountain, on which a crevasse is closely monitored by a group of scientists, including geologist Kristian (Kristoffer Joner), who await the collapse of billions of tonnes of rock into the water below, which would cause a massive 80-foot tidal wave to stream down the lake and devastate Gerianger within ten minutes. On his last day in town, due to move away with his family – hotel receptionist wife Idun (Ane Dahl Torp), son Sondre (Jonas Hoff Oftebro) and daughter Julia (Edith Haagenrud-Sande) – Kristian discovers that the crevasse is shifting, although his warnings come too late: the avalanche occurs, and the resulting wave sweeps all before it. The Wave boasts a story structure like a great sexual experience. The first act is all foreplay: the gradually rising tension as the stakes are set, people discover the impending disaster, and the human characters are all inserted into their various locales ready for the money shot. Said money-shot is explosive and jaw-dropping, destructive without being pornographic, and all-too brief. Finally, there’s the third act pillow-talk, the “who among them survived” questions as the human characters rise from the destruction to make their way to relative safety. The Wave borrows liberally from its genre forebears such as Dante’s Peak, The Day After Tomorrow, and even The Impossible, as it generates empathy for the core characters and throws just enough ancillary ones into the mix to provide expendable ballast. 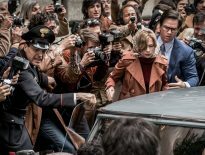 While The Wave might not offer anything new to say in its modus operandi, and ticks all the boxes of disaster film archetype, the film’s a hell of a lot of fun. 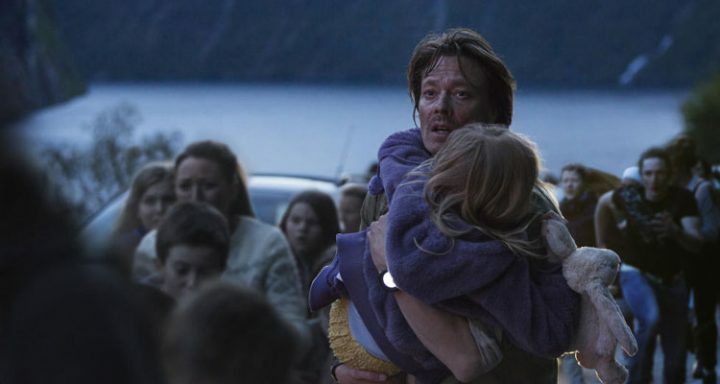 Uthaug ekes out considerably decent emotional resonance for Kristian and his family, taking them from relatively freewheeling Norwegian family unit into bloodied and bruised survivors of a major natural disaster in an arc that screams twee but ends up feeling flavorful. 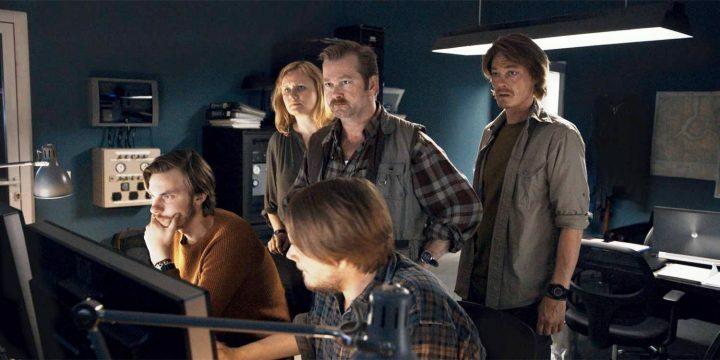 I think a lot of this is to do with the acting, prominently Kristoffer Joner and Ane Dahl Torp as the parents stuck in this ghastly scenario, convincing in their believable fragility and romantic relational status. 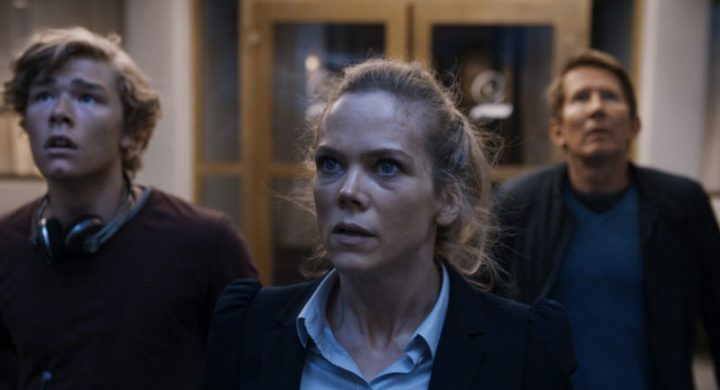 Small roles to Fridtjov Saheim, as Kristian’s boss, and Eili Harboe, as a hotel colleague of Idun’s, are nicely spliced into the film to humanise the movie’s otherwise gargantuan scope. What’s amazing to me is just how much Uthuag and his team have achieved with such a minuscule budget. Filmed at an approximate cost of $6 million, The Wave feels like it was shot with a major Hollywood blockbuster budget at hand, and it’s a testament to Uthuag’s skill as a film-maker that he can make so little look and feel like so much. The cinematography (by John Christian Rosenlund) is absolutely gorgeous, although if you’ve spent any time on Google Earth looking at the real Geiranger you’ll appreciate how little they’d have to do to make it look stunning. The wave itself, which comes midway through the film, is used sparingly, in about half a dozen full-screen shots, with the terror and tension elicited mainly through sound effects and people’s reactions. 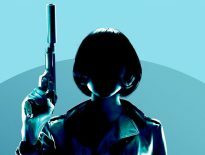 There’s an effectiveness to its use, borne of expense minimisation, and the film’s canny use of the CG sparingly works in favour of maintaining that unseen impending doom feel. Not to mention Magnus Belte’s pitch-perfect disaster-film score, which resonates, pulsates and soars when required and delivers the perfect accompaniment to the on-screen action. The Wave is a masterclass in blockbuster destruction and impact. A simple premise, presented without ostentation or histrionics, directed with silky skill by Roar Uthaug and performed by an admirable cast, and a sonic blast of fun and excitement make this film an outstanding low-budget affair that delivers. It’s rare one can say that about a film without feeling like you’re pandering to the lowest common denominator, but The Wave rises above its bigger budgeted transoceanic cousins and in most respects actually outdoes them. Entertaining and engaging, The Wave comes highly recommended.